Here you see Dottie just coming into the barn for milking. 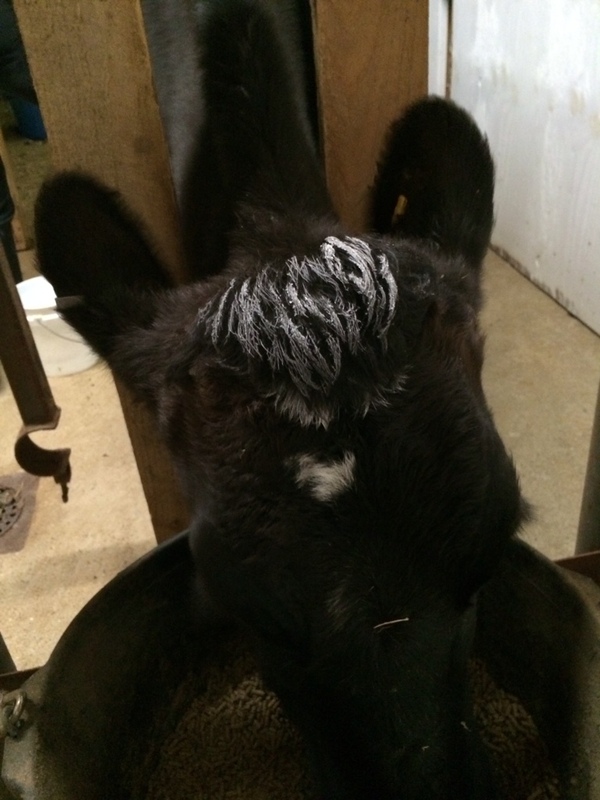 It was so cold that frost formed on the tuft of curly hair on top of her head. I’ve heard of girls getting their hair frosted, I have never seen the real thing though. For anyone worrying about the cows, they were so full from yesterday that they were plenty warm (food = heat for a ruminant). It’s only this hair that is far away from her body that got cold and frosted.